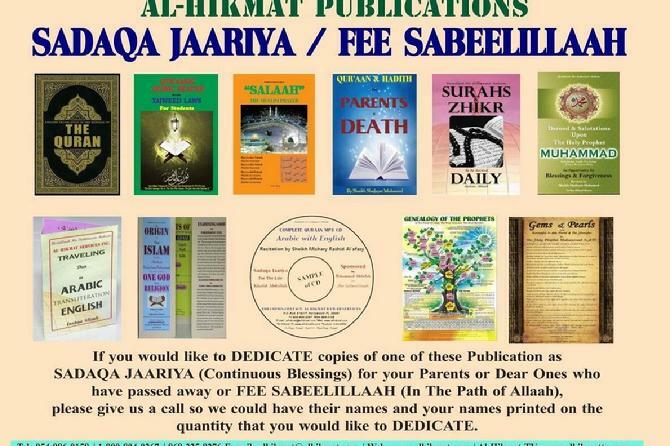 AL-HIKMAT SERVICES INC. - Serving the Muslim and Non-Muslim Community for the past 35 years, through the distribution of publications, DVDS, CDS, radio & TV shows, lectures, seminars, dialogues etc.,establishing tolerance and better understanding amongst different faiths and cultures. AL QUR'AAN Ch: 16 V: 125 “Invite To the Way of Thy Lord With Hikmat” (Wisdom).
" Who is better in WORDS than one who invites to the way of God, works righteousness, and says, I am of those who bow in submission to God". 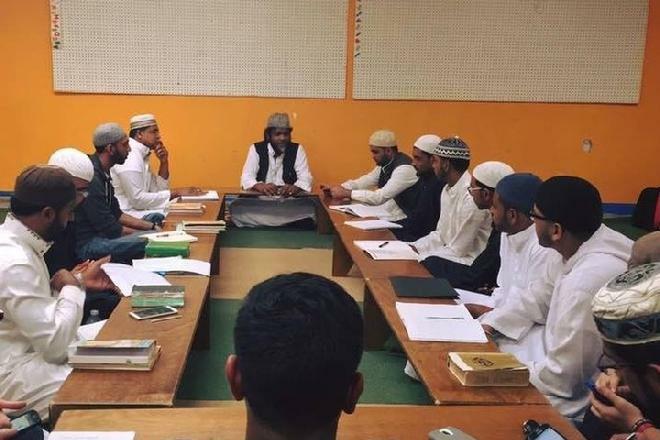 "Allaah granteth Hikmat / Wisdom To whom He pleaseth; And he to whom Hikmat / Wisdom Is granted, Receiveth indeed a Benefit overflowing; But none will grasp The message But men Of Understanding." 1. 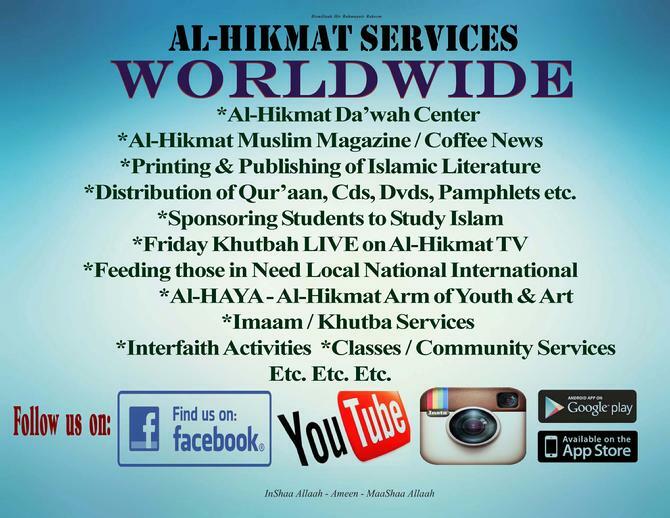 Al Hikmat International Muslim Magazine - the largest and oldest Muslim Magazine published in South Florida. We have subscribers throughout the USA and other parts of the world since 1983. 4. 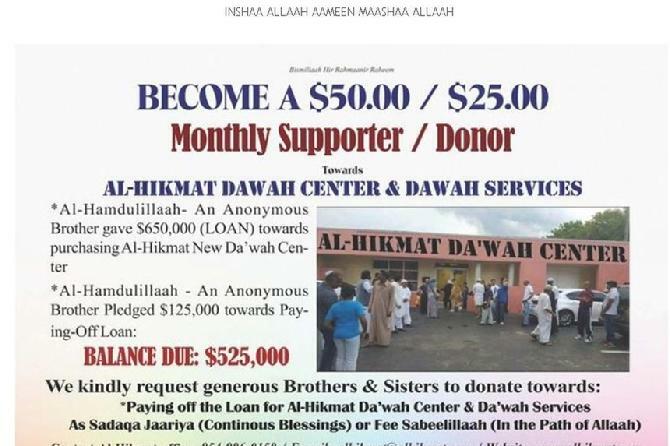 ISLAMIC HOME FOR CHILDREN IN TRINIDAD W.I. 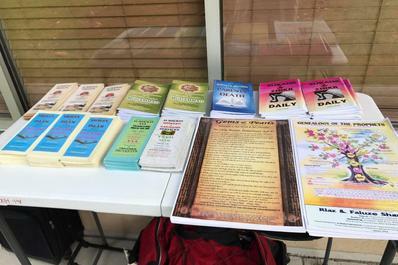 Most Masaajid, Islamic Centers, Restaurants and Halaal Grocery Shops in Florida and Nationwide.